Shrink tubing has a standard 3 to 1 shrink ratio. 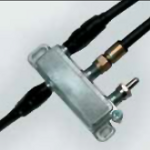 X-Treme Tape™ insulates regardless of wire and connector size. Low Cost. Major labor savings with in-field operations. 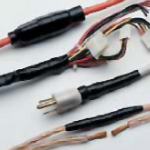 X-Treme Tape™ allows for Post-Connection Insulation -- Heat Shrink tubing must be slipped over the wire before final connection, but X-Treme Tape™ can be applied at any time. No costly or labor consuming heat guns needed with X-Treme Tape™ --- Simply stretch the X-Treme Tape™ for an elastic seal. 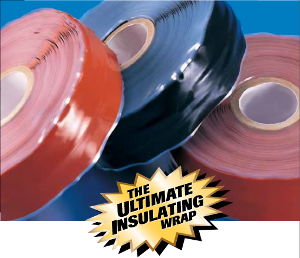 X-Treme Tape™ provide low-cost insulation, yet it is strong enough for extreme environments. X-Treme Tape™ is self-fusing, and therefore has no adhesive -- it bonds to itself and completely fuses into a single insulating wrap after 24 hours at room temperature. The stretch-seal will retain its elastic memory.